Batel Boutique respect your privacy and any information collected on our site will be kept strictly confidential and will not be sold, disclosed or loaned to any other organisations other than related companies and those third parties directly related to the delivery of the products you have purchased from Batel Boutique website. We collect information such as your name and e-mail address and when you make a purchase at Batel Boutique, you will also be asked to provide us with your delivery address and/or any additional information required to fulfill your order. We do not collect or store your payment information. For this moment Batel Boutique accept only PayPal payments, your payment information is secured by PayPal and not shared when you place an order. Please do not hesitate to contact us if you have any questions regarding payments. Customers must provide Batel Boutique with complete and accurate details when making purchases. Batel Boutique is not liable if we are given an incorrect delivery address at the time of purchase or returned goods. Any additional expenses in correcting the order are the responsibility of the customer. We do not collect or store your payment information. 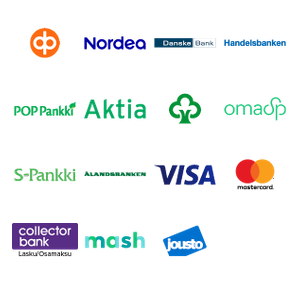 We offer 2 payments getaways, Paypal and Checkout Finland, to place a payment you will be redirected to Paypal or Checkout Finland website to complete your purchase securely. Deliveries to EU countries will not be subjected for additional duties, taxes and charges. Deliveries to None EU countries may be subjected to additional duties, taxes and charges. All additional Taxes and customs charges are the responsibility of the customer and are not included in the cost of the order or shipping charge. Taxes and customs charges differ depending on the country and state of the shipping address. Orders are processed on business days (Monday through Friday) excluding holidays in Finland. Batel Boutique items are made to order, production time is 4 weeks from order placed and payed. In case you need your order faster, please contact us for rushing your order production time if possible. Please note that custom made orders have a longer production time. Production time for custom made order will be stated for your individual order. Batel Boutique items are MADE TO ORDER, each item is made especially for your order, we do not accept order cancelation, exchange or return for our items. By approving you read our teams & conditions, you prove you read our shipping&return policies. Custom made items are made especially for the buyer needs and requirements. A custom made dress will be designed by the buyer and the designer at Batel Boutique by email or in our studio. Once the details for your dress is agreed we will create a sketch and a dress order confirmation including all the details of your dress. Custom made items are not refundable, returnable or exchangeable. It is the buyer responsibility to choose the correct fabric and design and Batel Boutique will no take responsibility, return, refund or exchange a custom made item. All the details for your item will be specified in the custom item listing and the purchased listing will use as a order confirmation to the buyer. Our return policy follows EU law. By placing your order on www.batelboutique.com or on location you agree to our terms and conditions as specified above.